The St. Louis airport is quite easy to navigate for a newbie. Intermediate parking was $11 a day and was directly across from the main terminal. A shuttle was readily available for the swift trip to the terminal. I flew United and was quite relieved to discover that my baggage would be checked all the way through to Barcelona (I had to switch planes twice and would switch airlines once). All my flights were on time except the 7:25am flight out of London. It departed 35 minutes late. Chicago and London airports were easy to navigate and they each had well marked signs. Barcelona airport was a different story. Everyone on the flight assumed that since we landed in Terminal A our luggage would go to Terminal A baggage claim. NOT! Always check the screens because once you enter a claim area, you have entered a secured area- you can’t go back inside the terminal and you can’t exit the claim area without having to reenter the general terminal. In short: you have to go through security. After four attempts at Spanish and 40 minutes, I finally found WHERE to go. Luckily most folks on my flight made the same mistake. Our luggage was later found in Terminal B. I found an ATM and withdrew 140 E as I waited for Becky’s flight to arrive from Paris. I discovered I had to retrace my steps and go back to Terminal A. Once back at A, I waited about 35 minutes before she walked out of the baggage claim area. We hugged and immediately set outside to get in the taxi line. The line moved quickly and we were ushered into a cab within 2 minutes. Our driver didn’t speak English, but we got to our destination, Hotel Regencia Colon. 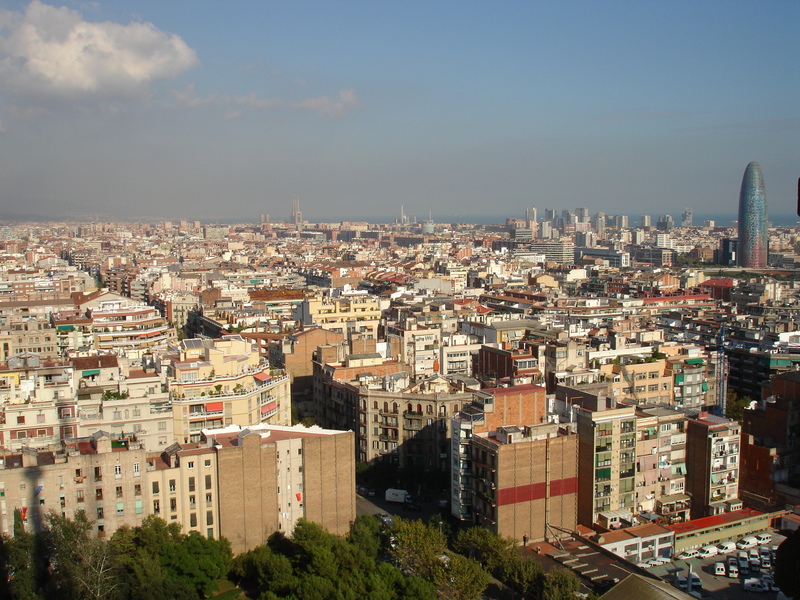 The taxi ride cost us 35 E.
BARCELONA: We arrived in Barcelona before noon on Friday, Oct 21. The weather was in the mid to upper 70s with clear blue skies. We checked into our hotel and immediately set out to discover Barcelona. We opted to use the Bus Touristic, a double decker hop on/hop off bus. Be aware that the live commentary is scripted and read in 3 languages (Spanish, English, and French). We had a difficult time understanding the English. It seems that all the narrators need a lesson or two in speaking English properly. In fact, the French commentary sounded very butchered too. But the convenience of hopping on and off made the bus well worth our 14 E per person. We got off to visit Sagrada Familia first. We noticed many beggars here- specifically women holding babies and rattling a tin cup. They worked the entrance line to Sagrada, hovering dangerously close to unsuspecting tourists. Be aware and don’t take out your money in front of them. Entrance to Sagrada was 7 E with a coupon or 8E without one. An audio guide can be purchased inside for an extra 2 E. There is an elevator, for an additional 2 E, which takes you up one of the towers. The views are spectacular and I highly recommend paying the extra $. The only way out is by walking down the narrow stairway. 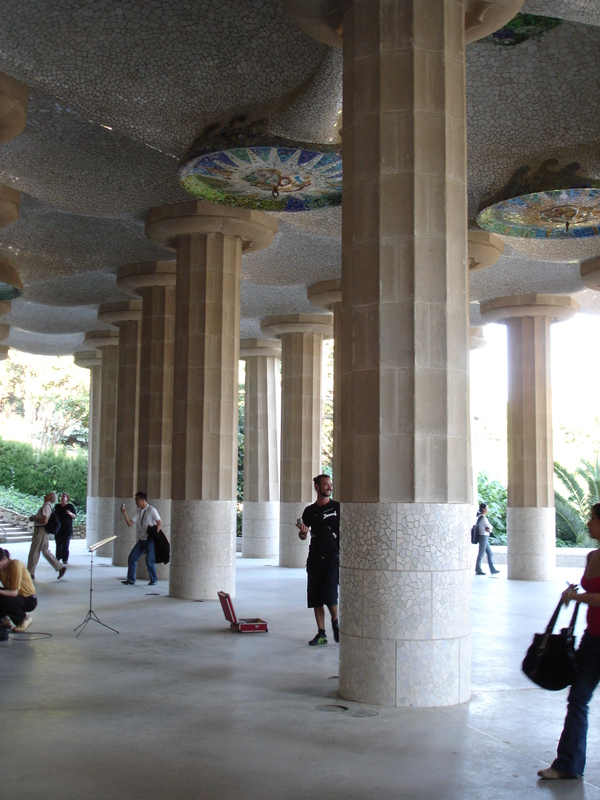 Next, we hopped back on the bus and got off to visit Park Guell. We didn’t spend much time here due to the quickly setting skies, but I would definitely recommend spending some time here. The views of Barcelona are beautiful! We rode the bus back to Cataluyna, and boy was this place buzzing! The sky was nearly completely dark and the I think this area was busier than times square! We walked back to our hotel to freshen up for dinner. We decided to eat nearby our hotel at Café Bisbe. I ordered Fish Paella followed by Profiteroles. We chose to eat inside since sunset brought cooler weather. Plus, this café charges an extra 20% to eat on the patio. After some melatonin, we called it a night. On day 2, we checked out by 10am and stored out luggage in the lobby. 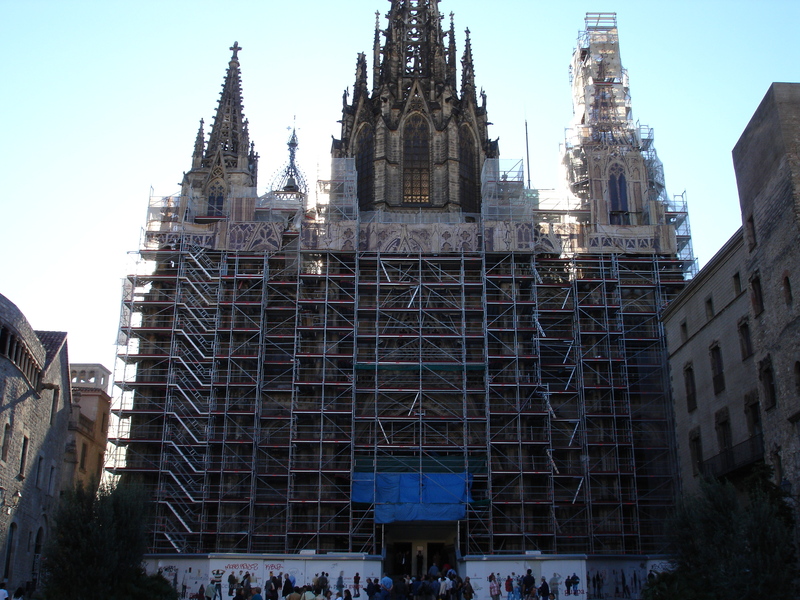 We walked across the street to visit the Catedral de Barcelona (free to enter). Then we chose to do Frommers Bari Gothic walking tour which I don’t recommend since it provides incorrect directions! However, we did enjoy walking around this area and seeing the sights listed on the tour. Plaça de Sant Just, Plaça del Rei , and Temple d’Augustus. We stopped and had an espresso and crossiant for 1.30 E. After commencing the walking tour, we decided to stroll down La Rambla to the sea. This area was lively with lots of shops, flower markets, and tourists. Back at our hotel, the front desk clerk called a taxi for us. The taxi ride was 25 E and dropped us off at the Splendour! Ahh! Embarkation was a breeze and within 10 minutes we were onboard. Our luggage was brought to our room within 30 minutes. 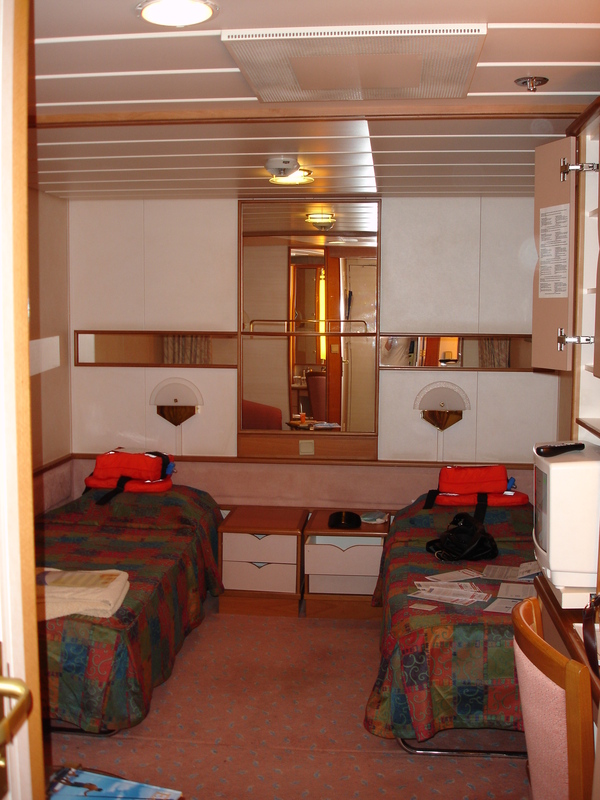 We met our friendly stateroom steward, Javier, and decided to check out the ship. We grabbed some lunch in the Windjammer and celebrated with the drink of the day ($4.25). The muster drill began at 5:30 and ended at 5:45. We had the 1st Late dining time (8:45pm). Our waiter was Enrique (from Chile), our waiter assistant was Ivana (from Poland), and our head waiter was a lovely man from India. Our dinner lasted until 11:10pm, but our waiter apologized saying it was his first night back from a 3 month long break. After dinner we sit at the Champagne bar and listen to live music as we sip martinis. We then head up to the Viking Crown Lounge to finish our strong drinks and people watch. We get in bed around 1:30am. MARSEILLE: We awake at 7am by the humming of the ship docking. The sky is dark and cloudy; I decided to pack my umbrella in my purse. The Splendour docks in an industrial area and walking to town is not an option. RCI offers a shuttle to Marseille for $5 per person, per ride. The shuttle drops passengers off at Vieux Port, the heart of Marseille. It began to pour buckets of rain during our drive to the port and it did not let up until lunchtime. The Splendour docked in Marseille on a Sunday, so many of the cafes and shops were closed. However, there is plenty to do and see despite this fact. The old harbor is very beautiful as it is filled with beautiful yachts and fishing boats. There was a fish market that morning, so the locals were out and about despite the weather and a local bus/train strike. We began our morning by walking down to the Abbey of Saint-Victor (open daily from 8am-7pm, free admission). The cruise ship provides a map of Marseille in the Compass, but the Office of Tourism (near the shuttle drop off) can also provide one. We arrived during Mass, so we waited outside for a few minutes until it let out at 10am. 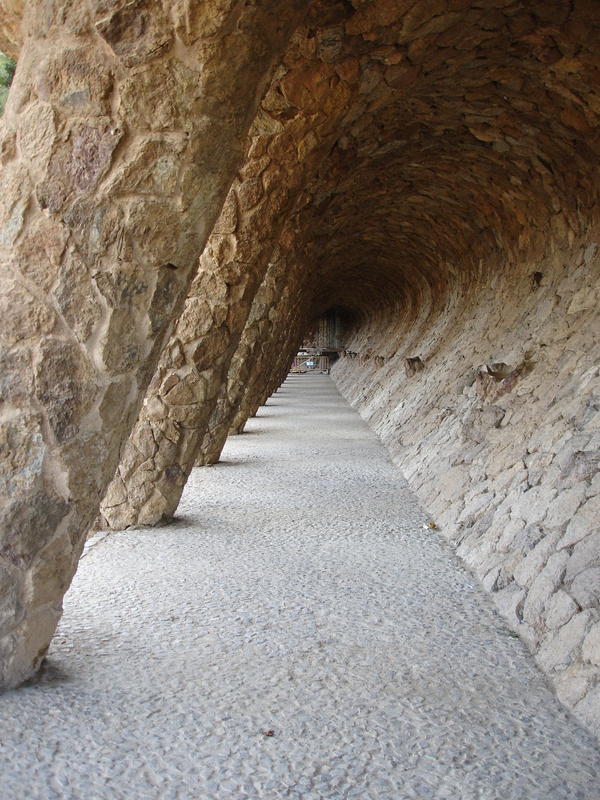 The structure dates back to the 5th century and the crypts date back to the 3rd and 4th century. By request, you can gain entry to the crypts for 2 E. We then walked to nearby Bas Fort Saint-Nicolas but it suddenly began to monsoon. We were soaked, despite an umbrella, and feeling quite miserable so we walked back to the Vieux Port to catch the Petit Train (5 E per person). 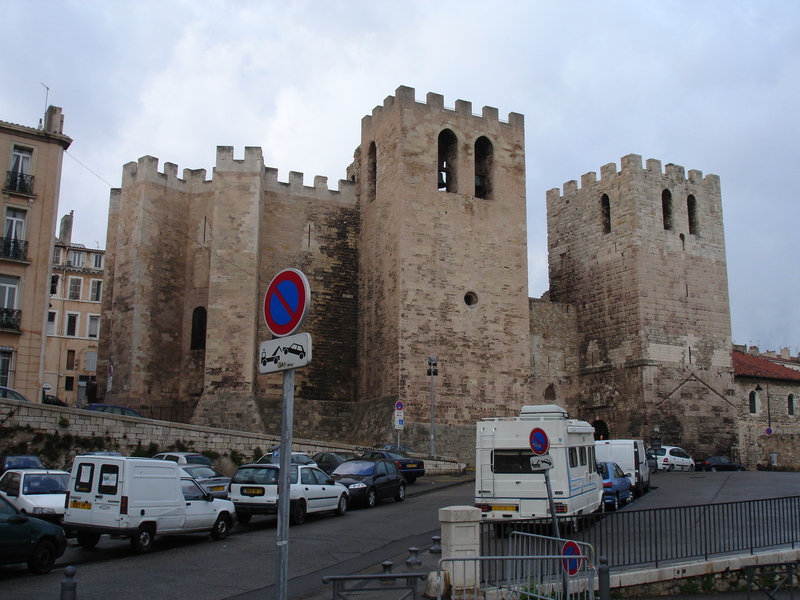 The train has 2 itineraries with running commentary, Notre Dame De La Garde and Old Marseille. The Notre Dame is the highest point in the city and offers panoramic views, so this itinerary is popular and well-worth the 5 E. You can hop off at the top to view the cathedral (but be sure to save your Petit Train ticket so you can hop on the next train). The rain, by now, had stopped and the views of Marseille and the sea were spectacular! After returning to Vieux Port, we chose a café for lunch. We had ravioli stuffed with white cheese served with tomato and basil. With 2 glasses of vin rouge, the price comes to 32 E for both of us. Later in the afternoon we opted to take the Old Marseille Petit Train (runs less frequently, no hopping off, 5E). When the tour finished, it was time to head back to the ship. We took the RCI shuttle. 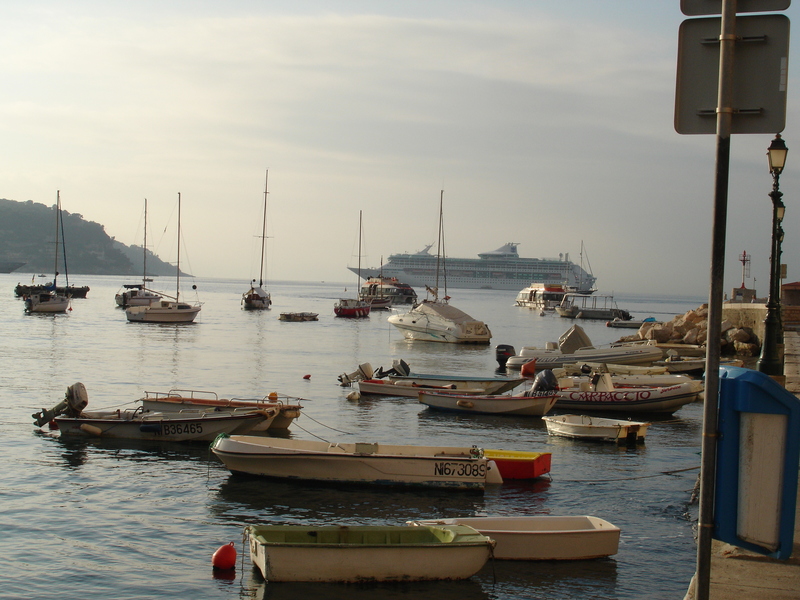 VILLEFRANCHE (visited Monaco & Eze Village): This port of call is a tender port. We did not experience lines getting off the Splendour nor getting back on. The tender drops guests off at a picturesque harbor. The harbor is lined with cafes and quaint little shops. This port was the most beautiful of our trip. We walked along the harbor to the train station, a leisurely 10 minute walk. When you get to the stone wall, look left for a ‘hidden’ staircase. A small, blue “SNCF” points you in the correct direction. You can buy train tix at a billet machine or from the ticket counter (which I did). The train to Monaco leaves on the 45 of the hour, every hour. Be sure to validate your ticket in the yellow machine, or you could be fined a hefty amount if caught without a validated ticket. The train was on time & it whisked us away to Monaco/Monte Carlo. In Monaco, follow the signs that say “Sortie.” We went up an escalator, then an elevator, then another escalator before we saw the sunshine of Monte Carlo. Walk right, out of the train station following the road. It’s best to have a map since the winding roads of this town are very confusing. We followed the road until we saw a pedestrian staircase on the left. This stair case brought us to Av. Du Port, near the foot of Monaco. 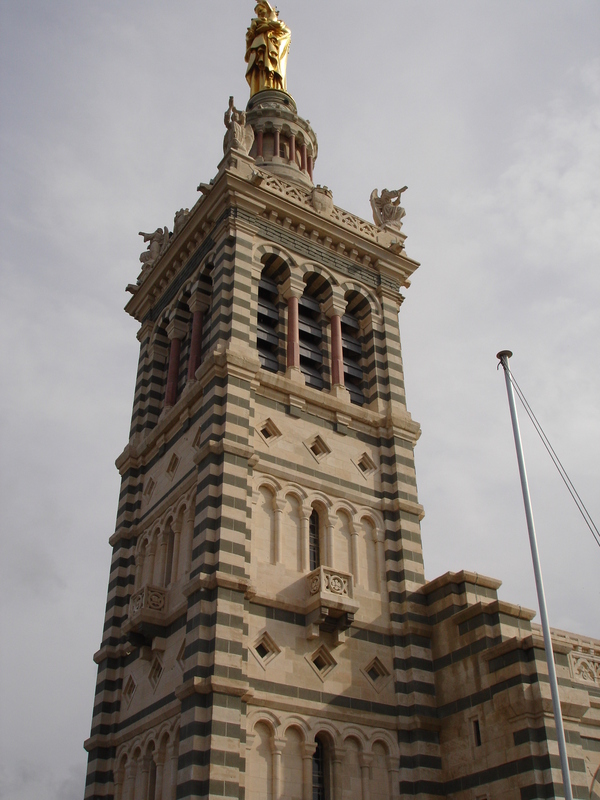 You can walk up to Monaco, or take the #1 or #2 bus at the Place D’Armes bus stop (1.45 E fare). The drive is short and sweet and dead ends at the top of Monaco. 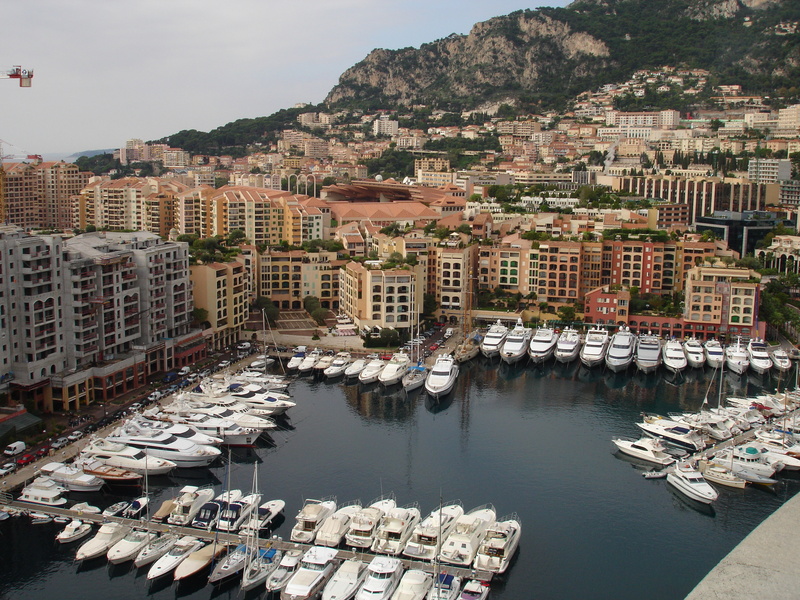 Monaco is a small, walkable area. 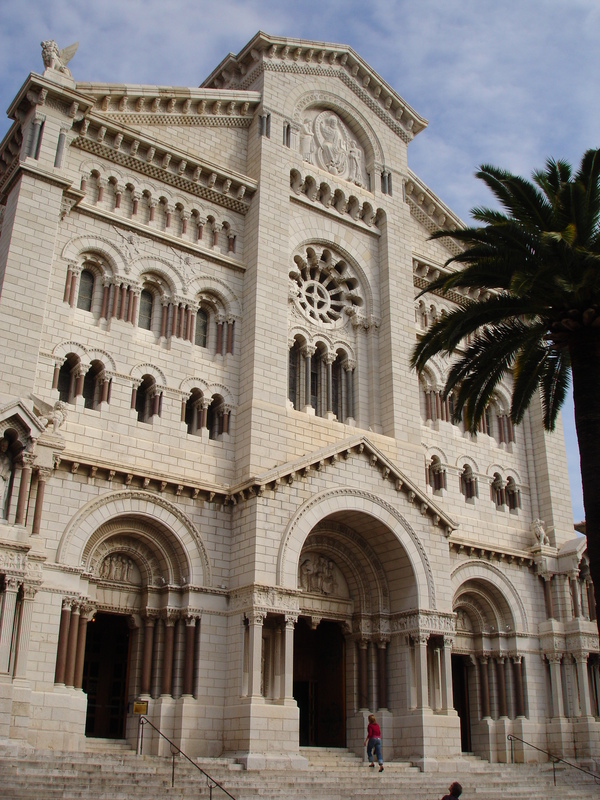 We went to the Monaco Cathedral (free admission) located at 4 rue Colonel Bellando de Castro. 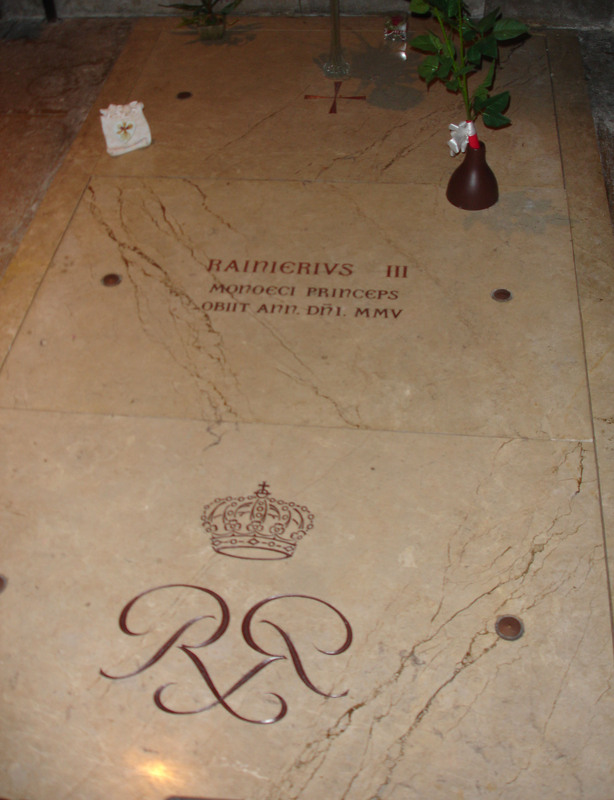 Here we saw the final resting places of Grace Kelly and Prince Rainier. Next, we got in position for the 11:55 changing of the guards. The best position is near the entrance of the palace (where all the action takes place) and not the aisle. The ceremony is brief and lasts approximately 5 minutes. Following the ceremony, we walked over to the Prince’s Palace to see the State Apartments (6 E for audio guide). The tour lasts 30 minutes. Please note that there are free public restrooms on the far end of Monaco near the Aquarium. Bring your own toilet paper. 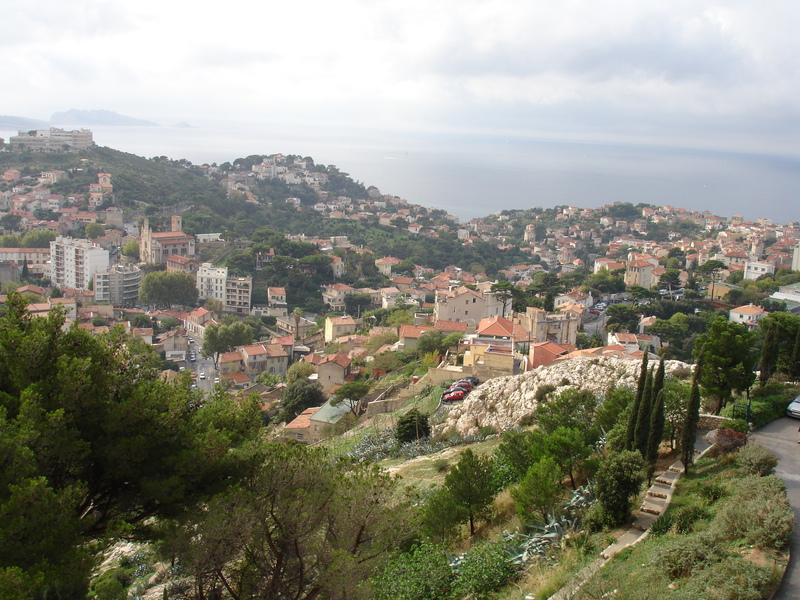 After seeing Monaco, I planned to visit Eze Village (different from Eze Sur Mer). You must take a bus, not a train to this medieval village perched high above the sea. Bus 112 is the bus you need if you’re coming from Monte Carlo. This bus stops at La Cremaillere stop (near the casino) irregularly (8:00, 9:45, 11:25, 1:20, 3:15, 5:05, 7:00). We caught the 1:20 bus, but discovered the bus driver did not speak English. So, we momentarily had a bit of a problem about how much the fare was . . . alas we worked it out and we were on our way to Eze. The drive took about 10 minutes and the hairpin turns up to Eze were a bit nerve racking, but the scenery outside the window was amazing. The bus stops directly in front of the village. There is a public bathroom at the entrance for a small fee. 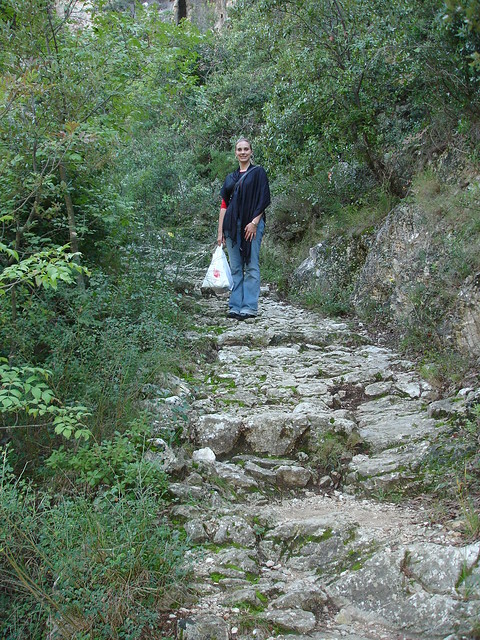 Eze consists of small roads, archways, stone houses, and arts/crafts boutiques. We dined on crepes and wine at a café before exploring the cobblestone streets of Eze. We stopped at the spice market and Fragonard, a perfume shop, before leaving Eze. We chose to hike down the Nietzche path to the train station. 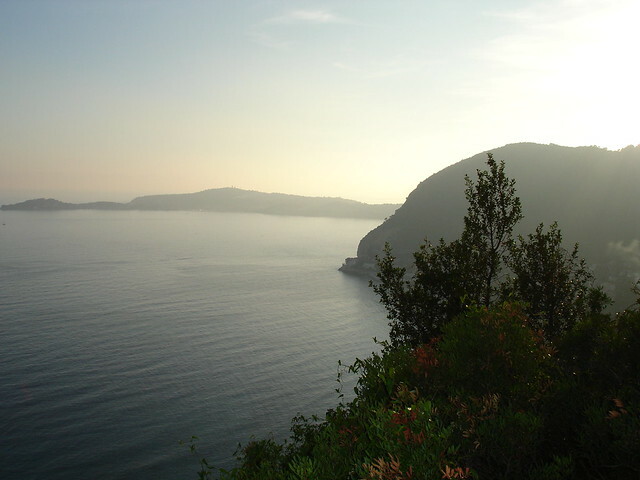 The hike offers splendid views and should not be missed (unless you are physically unfit or afraid of heights). It took us 45 minutes to reach Eze Sur Mer. The small train station is directly across the road and Villefranche is about 3 stops away. The train station is small with two tracks. With the help of our Cruise Critic friend Billy we were able to figure out the Billet Machine- unfortunately the train was 20 minutes late and packed with commuters. We had to run down the track, trying to find a car with enough room for the 2 of us. It wasn’t wasy and the French kept telling us there was no room (or at least, that’s what I figured they were saying!). The warning bell sounded, so we jumped into the nearest car and pushed our bodies in. 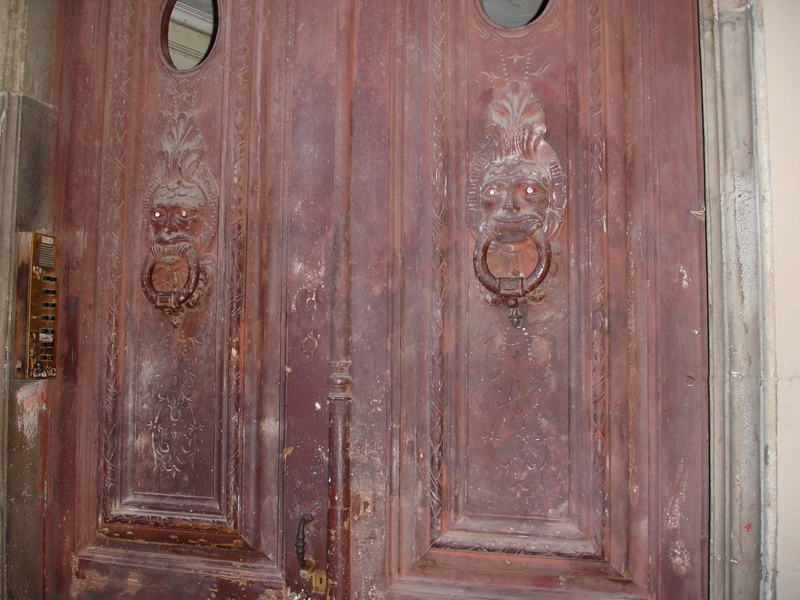 The doors shut, or tried to shut but couldn’t. Our departure was delayed as the doors attempted to re-shut. Finally we were off! The next two stops were nightmares as more passengers tried to cram in the train. By the time the train pulled up to Villefranche, I had a French man’s arm wrapped around me, holding me up and Becky wasn’t visible. It was a battle trying to exit the train, but we survived. 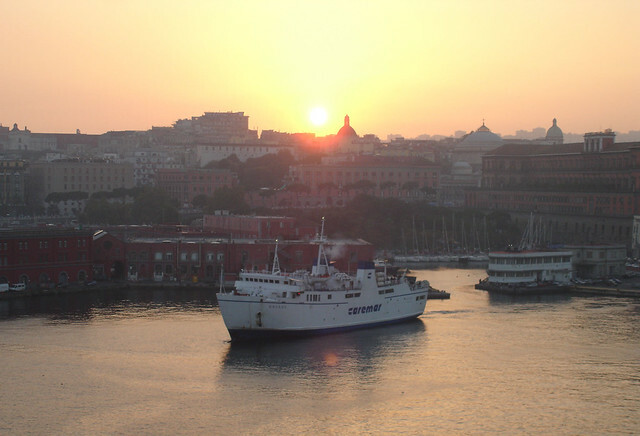 We chose to sip on red wine and watch the sun set at the café directly next to the tendering terminal. By the time we were on the tendering boat, the sky was black. We were able to snap some beautiful photos of the Splendour lit up in all her glory. 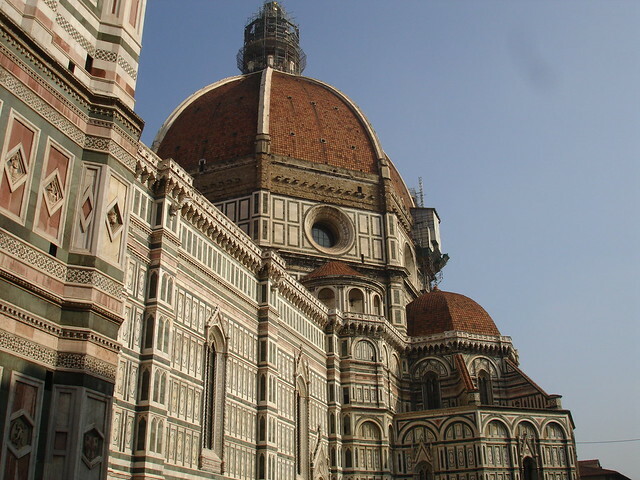 LIVORNO: We purchased the Historical Florence & Accademia Museum tour ($142pp) Description: This full day tour will give you the opportunity to visit one of the most famous cities in the world, Florence. The tour combines the important sites within the city including Ponte Vecchio, Church of Sante Croce and the Accademia Museum. In Florence, you will begin your walking tour through the city visiting the Accademia Museum to view one of Michelangelo’s most treasured creations, the statue of “David.” Having survived the outdoor elements of Signoria Square, the magnificent sculpture was moved inside the museum in 1873, where it remains today. Also on display in the museum are paintings by Botticelli, Daddi and Raphael. You’ll stop at Cathedral Square to view the Duomo, the Baptistery and Giotto’s Bell Tower, which date back to the 14th century. Your tour will continue to Signoria Square to view a copy of the statue of “David” before arriving at a local restaurant. An authentic Florentine lunch will be served. 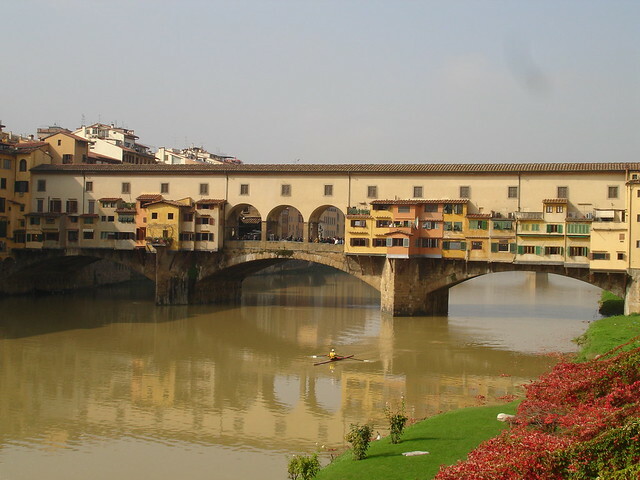 After lunch, you will pause to the nearest point to view the elegant Ponte Vecchio. Meaning “old bridge,” the Ponte Vecchio dates back to 1345, when it was built to replace a bridge that was swept away by a horrible flood. Today, the bridge is visited by many tourists, and is home to gold and jewelry vendors. You’ll visit the Church of Santa Croce, known as Italy’s Westminster Abbey for the Italian monarchy buried there. Its 14thcentury interior is one of the finest examples of Florentine Gothic decoration. Afterwards, you will have limited time at leisure to explore and shop. 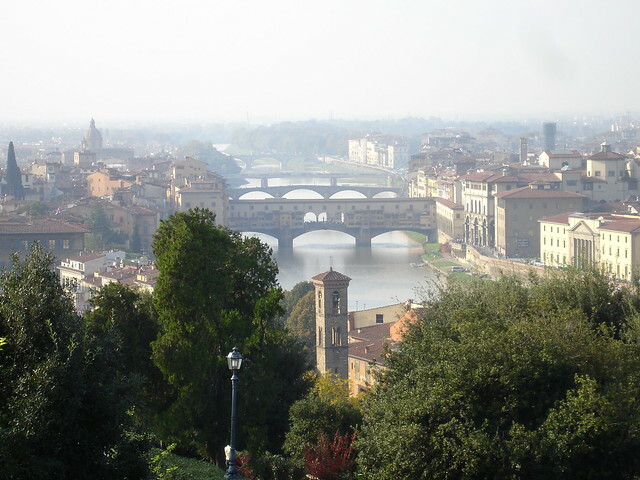 Drive to Piazzale Michelangelo for a panoramic view over the city with the Ponte Vecchio crossing the Arno River. We awoke to a cool morning with heavy fog. Luckily, it warmed up to blue skies and moderate temperatures. Our RCI tour bus had 45 cruisers on-board. It was a mix of old and mid-aged and a few young. Ignazio was our tour guide for the day and he spoke English quite well. We were each given a radio and 1 earpiece to wear for the day since Ignazio spoke into a microphone. The contraption was painful and I could never get the earpiece to stay in my ear. The Accademia line lasted about 30 minutes, then we were able to cut in front of the others waiting in the same line. We had to pass through a metal detector upon entry. Unfortunately, we only saw the front hallway featuring Michael Angelo’s work. Then, it was the David. WOW! It was larger than life and so beautiful. After viewing the David, we were immediately ushered out unless we wanted to purchase souvenirs at the gift shop. I bought two photos of the David since photography was not allowed. Next we walked to the Duomo. This place was packed with tour groups, tourists, and pickpockets. Ignazio pointed out some ‘fake’ tourists who were actually pickpockets in disguise. The area was shoulder to shoulder with people so I felt very unsafe and held my purse and camera close to my person. Next we walked to Signoria Square to view the fake David along with other statues. There were LOTS of people selling fake Louis Vuitton purses and suitcases here. Next, we walked over to peer at the Ponte Vecchio bridge. Then, it was lunch. This was the most enjoyable part of this tour! We were served a yummy 3 course lunch served at Tirovino (www.tirovino.com). After lunch we went inside the Santa Croce church followed by 1 hour of free time. Overall, I didn’t enjoy Florence. I blame the tour. There were approximately 45 people on this tour so just the sheer size of the group limited our sightseeing. We constantly had to wait for everyone since the streets in Florence are narrow and often require people to walk in single line formation. We also ‘walked’ by the sites, except the Church of Santa Croce. I slept on the bus during the 1 ½ hour drive back to the ship. 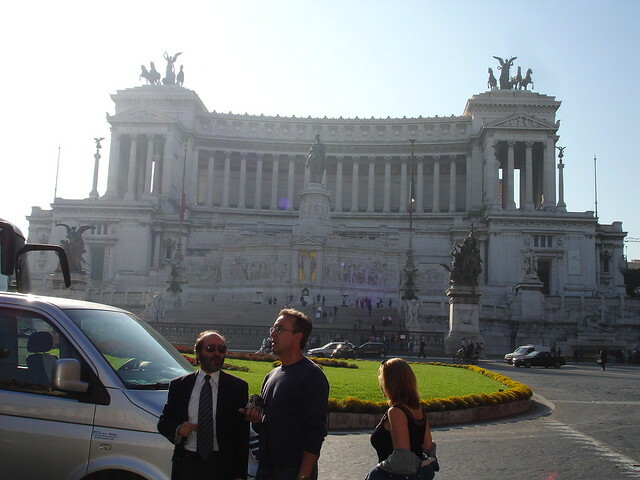 Civitachecchia: We hired, along with 4 others from Cruise Critic, Claudio from Limo in Rome for a full day tour of Rome. 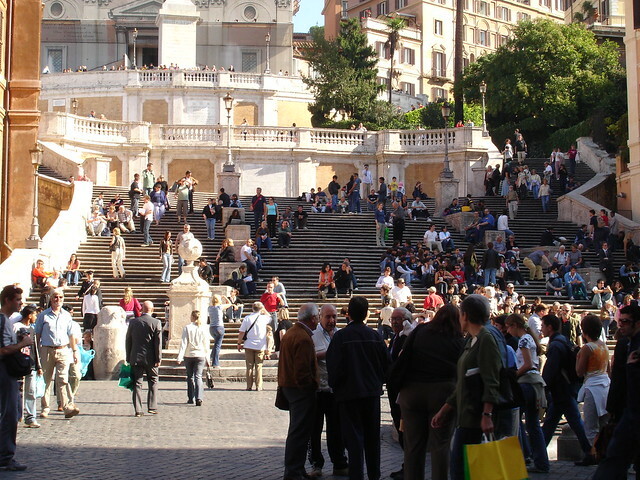 Description: This excursion is dedicated to discover Rome, the Eternal City. Your driver-guide or I will pick you up at the ship to start your tour. Enjoy a leisurely 1.5 hour drive through the Etruscan countryside straight to Piazza Venezia, the main square of the City. Start by exploring the Rome of the Emperors. 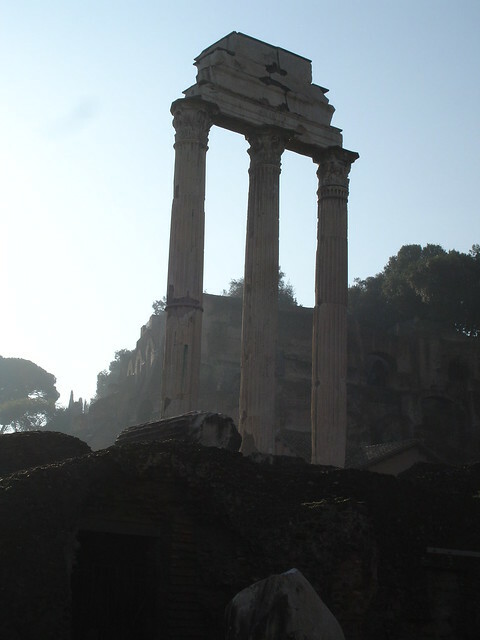 Stops will be made at the Roman Forum, the Colosseum and the Mouth of Truth. 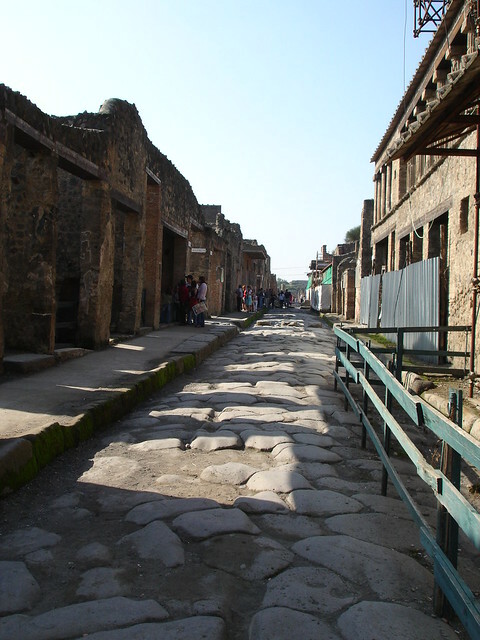 Then take a panoramic drive past the Circus Maximus, the Palatine Hill and the Baths of Caracalla. Spend a half hour exploring the Catacombs with a guide on the Ancient Appian Way, 3 miles from the ancient walls. Back in the heart of Rome, stop for a visit inside the Pantheon, the best conserved monument of Ancient Rome as well as the nearby Santa Maria Sopra Minerva housing Michelangelo’s “Risen Christ” . You can stop for an optional lunch and enjoy traditional Italian cuisine. Continue with a stroll through Baroque and Renaissance Rome: from piazza Navona through the narrow streets of Antiques Row to Campo de Fiori and Piazza Farnese. See Trevi Fountain, the Spanish Steps, Capitol Hill and Piazza del Popolo. Stroll through the narrow streets admiring statues, fountains and discovering curiosities. 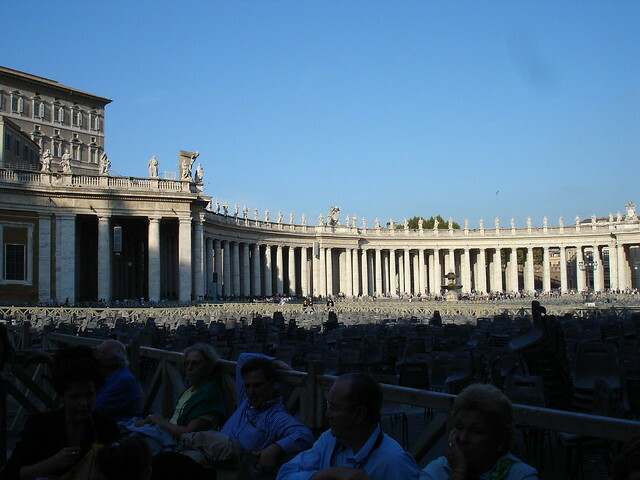 Your tour continues with a drive to St. Peter’s Basilica and the Vatican Museums, including the Sistine Chapel (2/3 hours private guided tour is available). 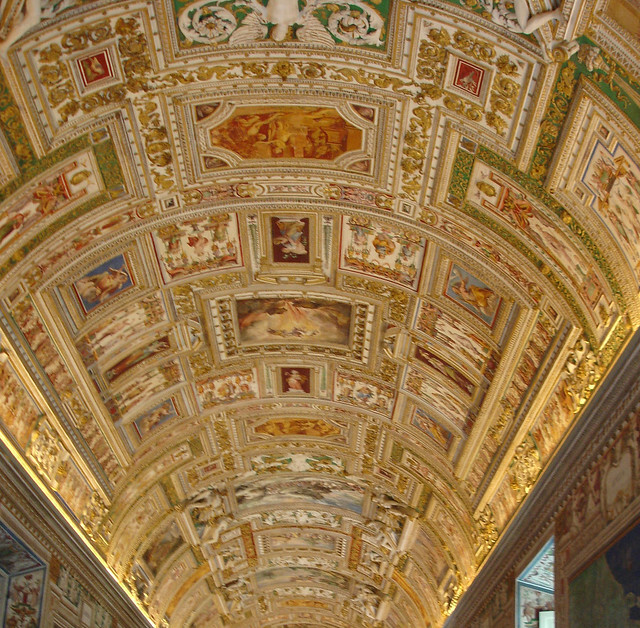 If you are particularly interested in art and architecture, the tour can be tailored to include masterpieces by Michelangelo or Raphael, Bernini or Caravaggio in various churches, time permitting. Your tour ends with a return transfer back to the ship. Claudio was waiting for us at 8am at the pier. The six of us comfortably sat in his VW 8 passenger mini bus for the drive to Rome. Claudio drove us by the thermal baths of Caracalla before heading to our first stop, the Roman Forum. Claudio parked directly in front of the entrance. The six Claudio gave us a brief commentary about the buildings. Then we drove to the Colosseum and got out for a 15 minute photo session (we opted not to wait in the 1+ hour line). Next, we drove to the Panthenon followed by a potty break at a McDonalds. I was surprised to see the fast food chain was packed (with locals and tourists alike). Afterward we were dropped off near the Trevi Fountain for a 15 minute photo op. The fountain was very crowded with tourists and vendors. Claudio warned us about pickpockets here. Becky and I snapped photos of the fountain and posed for photos. Yes, we both threw in a coin guaranteeing our return to Rome. We hopped back into the van and were whisked off to the Spanish Steps for a 20 minute photo op. The area was buzzing with tourists, but we didn’t mind. It felt wonderful to sit and soak up the warm rays. Across the street from the steps are all the wonderful, high-end shops like Gucci. We couldn’t resist . . . we walked over and browsed inside for the rest of our allotted time. Then the 6 of us, none of which bought anything, headed over to Campo Fiori for our lunch break. We had an hour to walk the market and grab a bite to eat. Becky and I both bought a slice of pizza wrapped in paper. We walked while we ate, eying the Gelato shops. We found a seat on the edge of a fountain near a beautiful flower booth. The birds hopped around us, hoping for a bite. They got lucky because the last bite of my pizza slipped through the newspaper. Ah, shucks! Unfortunately, I was full from my feast, but Becky had saved some room in her stomach for Gelato. After snapping some photos and after Becky had finished her ice cream, we met back up with our group and Claudio. Off to Vatican City!! Here we met up with our lovely historian tour guide. For the next 3 hours, she led us through the museum, the Sistine Chapel, and St. Peter’s Basilica. The highlight, for me, was the Sistine Chapel. Guards shouted every 1-2 minutes “BE QUIET!” as tourists are told to enter in silence. Of course, who can do that?! So the constant shouting kinda ruined the moment. Oh well! NAPLES: We overslept this morning (still worn out from Rome), so our time was limited. We exited the terminal to see another beautiful, cloudless day. We had a map and decided to attempt the walk to the Circumvesuviana train station. We were hollered at by the sleazy looking cab drivers who shouted “Bella,” but we ignored them and continued waking. Well, we got lost. We discovered that we were all alone among locals. We retraced our steps and luckily did find an English family who knew where they were going. So, we followed them and finally found our way. The walk took us a long time, definitely 30 minutes. When you enter the station, you walk down a flight of stairs to the ticket windows. Don’t use turnstiles opposite counter, but go down the corridor to the turnstile at end. Follow signs or just follow the stray dogs. We followed a dog, who didn’t have a ticket to get through the turnstile I might add. He then proceeded to chase the trains as they entered and departed the platforms. He knocked some people over . . . luckily he didn’t know them into the tracks. Get off at Pompeii Scavi stop. The train ride takes approximately 40 minutes but we were entertained by impoverished Italians playing bizarre instruments and begging for coins. 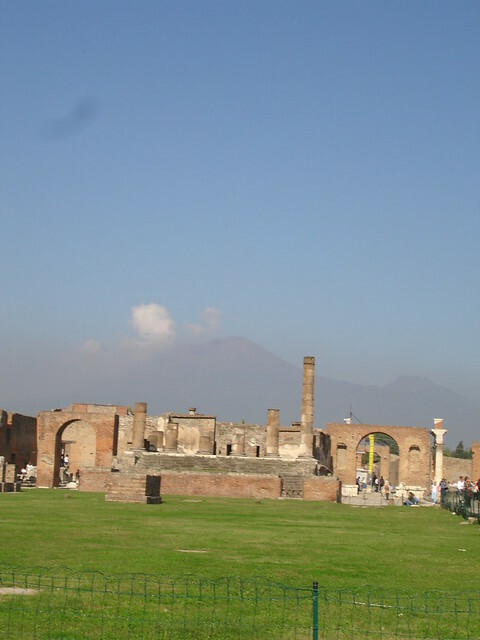 Pompeii opens at 8:30 and admission 10 E . You can hire a guide outside of the gates for an additional amount. We had a limited amount of time so we didn’t hire a guide nor did we rent the audio guide. After quickly seeing a small portion of Pompeii (it’s HUGE and you really need a whole day here), we decided to go to Sorrento (we still needed to buy some souvenirs). 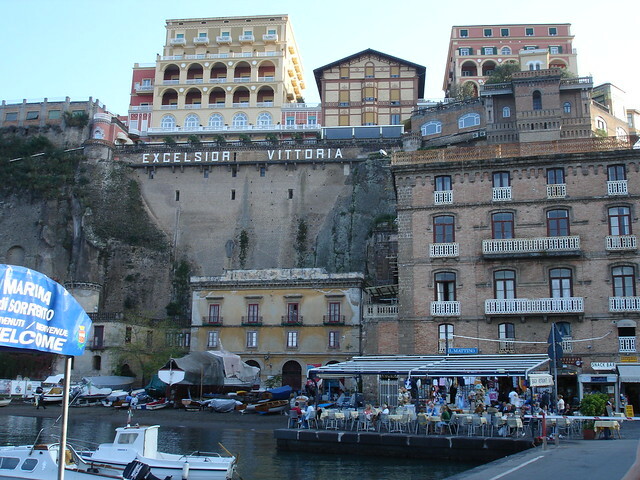 Take the train to the last stop, Sorrento. Sorrento was a charming little town. We walked the pedestrian streets lined with wine shops, ceramic shops, typical tourist trap shops, and limoncello shops. We walked into Limonoro, a shop that sells its own version of the lemon liquor. They sell the stuff in a variety of funky bottles. In addition, they sell chocolate, candies and olive oil. We had pizza at a small little café/deli. We walked up to view the pizza behind the counter and a young Italian man walked up to us and attempted to explain, in English, the varities of pizza they had. He was quite charming and offered us champagne (for free). I ate and drank everything put in front of me. Later we walked down to the sea to buy our 4:30 hydrofoil tickets. We dined on gelato and wine at a seaside café before boarding our vessel back to the Splendour. DAY AT SEA: We were quite sad that our hours were limited. Our adventure had come to an end. Becky spent the day at the pool and I spent it at the art auction sipping my free champagne. 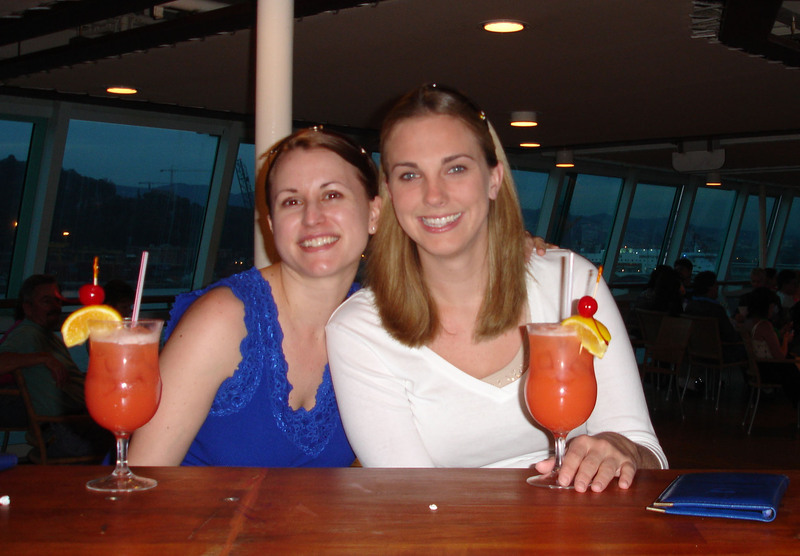 We had a small get-together at the Viking Crown Lounge with those we met from Cruise Critic. It was nice to reminisce and to meet those from the online boards that we had not had a chance to meet yet. We were sad to leave the ship. I had a 11:25am flight so I signed up for early departure from the ship. Everyone had to be out of their rooms by 7:00am (not 8am like many previous Caribbean cruises)!! I was given beige tags, the first group to be called, and I was told the first group would be announced at 7:20am. And guess what? Everything was on-time. Beige was called and I immediately proceeded to get my luggage. I was outside and in a taxi by 7:35 and at the airport by 8am! HOWEVER, it took me 2 hours to checkin. The lines at Barcelona airport were HUGE! By the time I was checked in and thru security, I only had 1 hour before my scheduled departure. My flight was an Iberia flight but operated by British Airways. The flights were uneventful, but I didn’t get home until late at night. A bottle of limoncello, intended for my brother as a Christmas gift, broke in my suitcase. Otherwise, everything arrived in sound condition. In conclusion, this cruise was AMAZING! Becky was a wonderful travel partner. Since we have similar interests, we were able to make the most of our trip. We booked the cruise 1 year in advance (taking advantage of the amazing early-bird pricing) and immediately began planning. 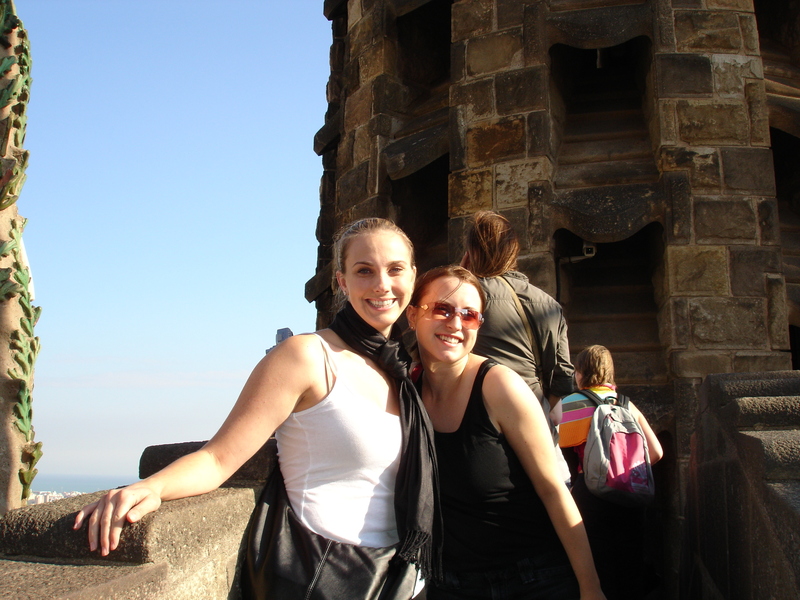 She was in charge of planning our days in Barcelona, Marseille, and Rome. I was in charge of Villefranche, Florence, and Naples. It worked out perfectly and I wouldn’t change a thing. The total cost of this trip (cruise, air, transportation, tours, and souvenirs) was approximately $2,200 US. Hey could I reference some of the material here in this blog if I reference you with a link back to your site?